We have all been duped into buying some sort of snake oil in our past and it leaves a pretty bad taste in our mouths. We would do nearly anything to avoid it. So when someone has something to offer (a.k.a. sell) that we don’t fully understand, our immediate reaction is to say, “No”. Let’s take tree care for example. One “expert” may tell you that if you put this product on the roots or leaves, it will make your tree healthy. The next “expert” may tell you the exact opposite. This leaves you: a) confused and b) not sure who to believe. A great place to start your research is from peer-reviewed sources. When an unbiased source gives you information on a particular subject or product, and that information was generated from research in accredited universities, rest assured you are on the right track. From there, good practitioners will build programs that are consistent with that information. For arboriculture, many universities have programs in forestry, urban forestry, horticulture, biology, grounds maintenance, or others like that which work well as a foundation for the science. There is new research every year from great scientists around the country. 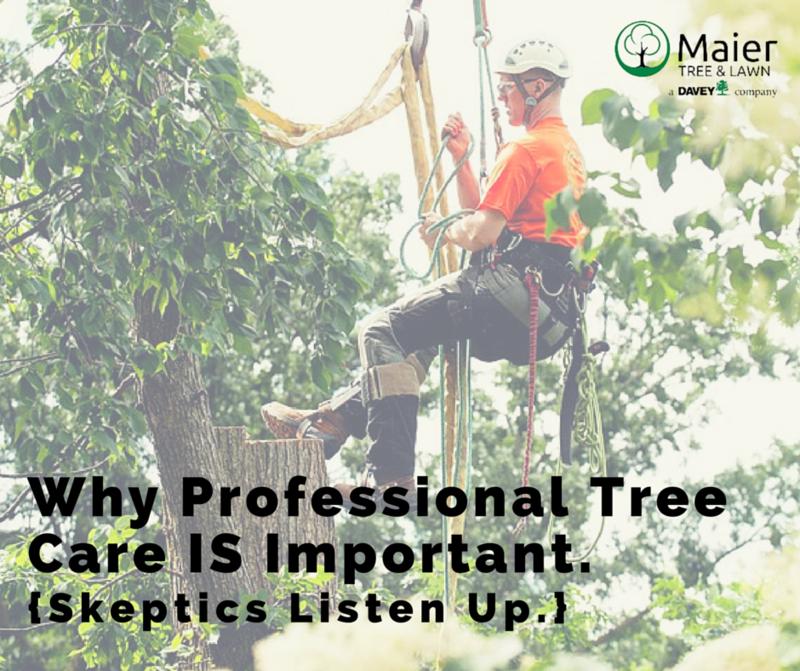 From there, an International Society of Arboriculture (ISA) Certified Arborist or Board Certified Master Arborist (the pinnacle of the profession), like the pros at Maier Tree & Lawn, will use this science and listen to your needs to come up with the very best recommendations for you and your trees. If you sense that you are getting snake oil from your tree guy, ask him or her where they got their information. If it is from a credible source, you are well on your way to avoiding that bitter snake oil. Tree care skeptics beware, there are many things that your urban trees need that nature is not providing. Invest in the right company with the right arborists for your professional tree care needs, and you will come out the winner every single time. It will look like this: Why Professional Tree Care IS Important.